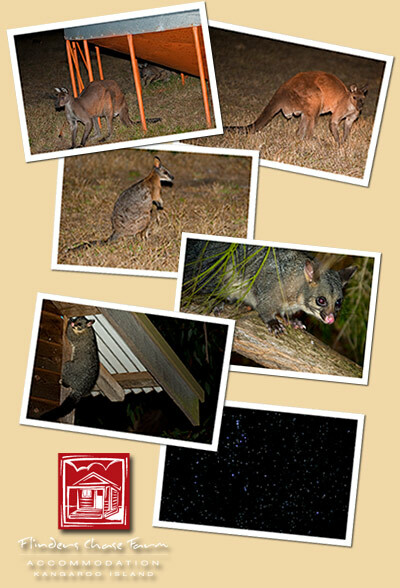 Flinders Chase farm has a range of Australian wildlife that lives in our gardens, and also around the outbuildings of the farm. Our guests staying on our farm enjoy their visit, and some go for a quiet walk at night after tea with a torch just after dark around the farm sheds to see what local wildlife can be found. You may see a Kangaroo or two, wallabies, or maybe a possum. Some of our local wildlife are regular visitors to the farm. We have put a few photos here for you to see, they were all taken around the property by one of our visitors while he was staying on the farm.